Post #2002: Always new things to learn…. I haven’t been making much lately – too busy with exercise and other things, not feeling obsessively inspired – it happens sometimes, you just get bored with all the things that you can do…. but recently I ordered this book and it’s got me all amped up to learn some more embroidery! Needlework is something I’ve done varied amounts of – counted cross stitch was the first craft I ever taught myself (right before I learned to make jam for the first time) – but I’ve done only small bits of freehand embroidery, little more than experimenting with a few stitches. Not long ago, I came across Mary Corbet’s Needle N’ Thread website and was completely blown away by this project in particular. 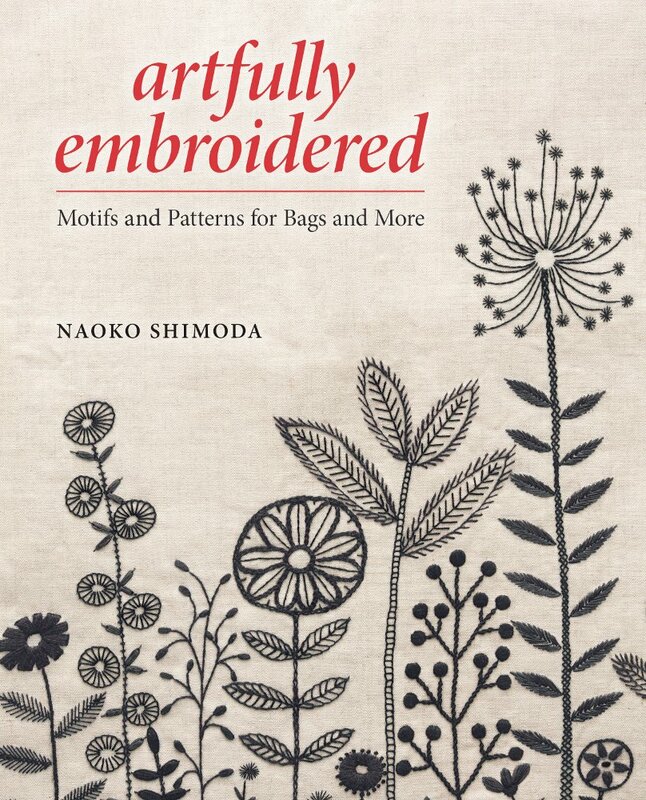 It got me looking at embroidery/needlework books and projects again which is how I came to be in possession of Naoko Shimoda’s book late last week – the design on the front cover of the book is especially tantalizing me, but many of her bag projects are both straight forward and stunning (such is the way with Japanese textiles). In any case, I am inspired to learn basic (really basic) embroidery so I can make one or two of Shimoda’s projects and so I spent the weekend practicing my stem stitch (above). I am currently working on small project number two in order to practice some other stitches and get some more comfort with the various techniques that the work in Artfully Embroidered calls for. This is not to say that I have ceased my other making activities – I’ve got a quilt that needs quilting, another quilt top which needs sewing and innumerable other unfinished objects which need some love right now. I’m hopeful that there will be time in the near future – though this month is a bit packed! ← Post #2001: Lighter and lighter…..